1 how to set up printer style? 2 user a create b.table,default tablespace use b setup. 3 in a trigger,don't need to commit,it will commit automaticlly when end,but it must be committed in a procedure. 4 how to use reports or forms in the forms? 5 how to get profile values? 6 wyh can't i see chinaese in PL/SQL Developer 5.1? 8 how to test local forms and reports in EBS 11i? 12 what is the relation between the application and the jinitiator ? 13 how do the form. run first in 11i? 14 how to test forms in 11i? 15 what is canvas and window? 16 when re-compile a form,how to view the new result? exit the old form. page until arrive to the menu navigator. 17 how to call another form. in a form? 18 when mouse move another record in the form,it will fire when-new-record-instance trigger. data block level trigger,such as when-new-block-instance trigger,enter a block,it will be fired. when-new-record-instance,enter a record,it will be fired. form. level trigger,such as when-new-form-instance,enter a form,it will be fired. 19 in a form,when a item is the database item,when its column name is blank,item's name default accrod with database column name. 20 when will the report take effect after the parameter is changed? the report will take effect after reusing a responsibility. 21 select xxxx abc from table,the alias abc can't be used in WHERE clause. 22 how to use directX to test system? 23 how to adjust a report output size? 24 when need recompile a report? it will be recompiled once pl/sql code is modified. it needn't recompile when adjust the layout and property of the report. 25 how is different between coa and account flexfield? when defining a coa,will use the same account flexfield. 26 how do I get the table name by the form? Help-->Record History,can get the table name used by certain field in the form. 27 how do I get a form. name? Help-->About Oracle Applications,view "Current Form"
29 how to make a layout for a report? 36 what are status code for oe header and line? 37 what is flow about OM? 4 ship confirm:all released so line will be confirmed. 5 run the report "Workflow Background Process",transfer data from om to ar interface table. after it done,so line is closed.when all so line is closed,the so header is closed. 39 how to query view based client enviroment? all operation can be done within a SQL window. 40 in Discoverer,if a fold is from a database,every item will create a item class automatically,if a fold is from a custom SQL,it must be manually created a item class. 42 when ship confirm,the orders that only same delivery id can be deliveried together. 43 in OE menu,Order organizer is used to inquire some informations for orders,Sales Orders is used to create and change a order. 47 sales order number is numeric created by system automatically and purchase order number is character input manually. 48 in PO,when input and save a purchase order,the po header status is "incomplete" and change to "Approved" after it pass the approve.The PO number will be created automatically if no input po # manually. 49 After copying sales or purchase order,the new order is created and saved automatically. 50 how do create po and sales order number? purchase order number is created manually,sales order number is created automatically. 51 the po status is incompleted when it saved and change to approved after approved. 52 GL,AP,AR,INV,PO have own period,it must be open or close for every module.OM has no own period. 54 pick release has two methods. 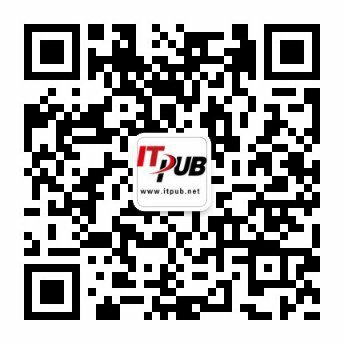 办法1： 修改或者录入so的时候scheduled ship date一定要填写适当的日期，release so的时候输入确定的日期范围，范围内的so都被release. 55 employee information setup is on menu :Setup/Organizations/Employees,by INV Super User responsibility if HR module is absent. PO/GL/AP/AR need control period,but OM has no period. 69 PO一旦被approved,只能通过Purchase order summary or Requisition Summary来查看information，不能再打开？？？？PO的似乎可以，PR一旦approved，不能再open. 74 how do call a jsp in EBS form? 77 what is the interfaces to import item,item category and bom? 80 how to distinguish a so's delivery status? 85 how many types is organization classifications? 86 what is different between Distribution and SCM? 1 每一个LE/OU都上了Disctribution后，和supplier，user通过EDI等结合起来，形成一个完整的系统，叫SCM，Distribution is a subset of SCM. 90 a po vendor and a ap vendor is same. after import items,then import category，must delete 000.00.00类型的category(automatically created when import item),then import new category. 1 category can't be updated directly. 2 item can be updated directly,use "update" transaction type when import. 95 The report is developed by character mode,the view result is same as print,it may be different from preview in EBS 11i. 96 if i use template form,i can't close it,message 'at first block',how to fix it? modify the form. level trigger "WHEN-WINDOW-CLOSED"
97 in standard form,om unit price include tax,po unit price exclude tax. 98 what is different between canvas and window in a form? Decode ( vat.tax_rate,0,trxl.unit_selling_price,trxl.unit_standard_price) unit price without tax 不含税价 ?????????? the value from the value column, to your report. 103 how to register a table with Oracle Application Object Library? 107 what is EUL,BA,drill in discoverer? 1 A user can create a EUL named as itself,it may create some EULs for other users.The EUL's name is same as the user's name. 2 a user can delete EUL owned by itself only. 3 after creating EUL,the first BA can be simply created.we can insert a blank BA. 108 what is different between internal name and display name in workflow? 110 if form. will excute DML action,Property/Advanced Database/DML Data Target Type,DML Data Target Name must not be blank. 111 A table may be outer joined to at most one other table. a=b(+) and c=b(+) 不允许，because table b is outer joined to two other table. 112 how to draw a frame. include old item in report? Oracle sql optimize rule: "From table" from right to left,"Where clause" from down to up. 114 how to start to use workflow in PL/SQL? 115 what is different about three user tables? ar_customers is a view from table hz_parties. 116 how to get flex value description? 1 add a user parameter p_xxx,use &p_xxx in where clause. 118 how to disable save function in a form? 119 how to execute NULL in sum,count,max and so on functions in the group clause? 120 how to use multi-form. window? 121 how to control the access to Help/Diagnostics/Examing without apps's password? 122 The username and password are not match case in application 11i. 123 what is the relationship between invoice and check? 125 which profile will be used for session timeout control? 126 how to use the parameter of host report? 127 in sql and sql/plus statement,';' function is same as '/',两个不能同时出现，否则run doubly. 130 how to sum in sql*plus report? 131 how to create information to output and log in 11i? 132 how to separately commit?